A question from the lecture &apos;The Rhythm of Life: The Beat and Dance of the Heart&apos; by Professor Martin Elliott. Martin Elliott was Gresham Professor of Physic from 2014-2018. He is Co-Medical Director at The Great Ormond Street Hospital for Children, London (GOSH). He led the cardiorespiratory and thoracic transplant teams at GOSH for many years, and established, and is Director of the National Service for Severe Tracheal Disease in Children, the largest such service in the world. Professor Elliott studied at Newcastle University both as an undergraduate and a postgraduate, and also in the Universities of Southampton and London. 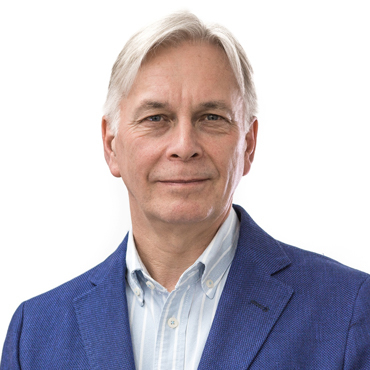 He was appointed a consultant paediatric cardiothoracic surgeon at GOSH in 1985 and has been Professor of Cardiothoracic Surgery at UCL since 2004. His research has covered several domains, including the pathophysiology of cardiopulmonary bypass (developing modified ultrafiltration, now used in most repairs of congenital heart disease (CHD)); the development and application of outcome registries in surgery for CHD (he developed the European Congenital Heart Defects Database, the forerunner of the EACTS and STS registries); the specification of the nomenclature for congenital heart defects (he was founding president of the International Nomenclature Society for CHD); the improvement of teamwork within cardiac care (consulting and working with Formula 1 teams, the airline and hotel industries); and most recently the management of severe tracheal disease in children, including the first homograft and stem cell-based transplantations of that organ in children. Professor Elliott is passionate about improving the experience for patients and providing them with insight they and their families need to make informed choices. At GOSH he leads on quality and safety, and GOSH has won several prizes for its work in this field. He has given evidence to the Bristol and Francis Inquiries related to the importance of information provision for quality improvement. He has published over 260 peer-reviewed articles and is in demand as a speaker, having delivered over 300 invited lectures worldwide, including 20 named lectures, to professional and lay audiences. He has taken part in several television documentaries. He reviews for many scientific journals and teaches and operates throughout the world. He has trained many of the world’s leading paediatric cardiac surgeons and has been involved in service reform in several countries. All of Professor Elliott&apos;s Gresham lectures can be accessed here. Is Mental Health Worth Less Than Physical Health?